The 2017 Marlborough Multicultural Festival was all about ‘Promoting unity in diversity.’ Hosted by the Marlborough Migrant Centre, the festival was truly a melting pot of different cultures, nationalities, and traditions packed into Pollard Park. With a display of food, music, and performances from a number of ethnic groups, Te Piki Oranga Wairau made their presence known. Offering a wide variety of health based resources, free blood pressure checks, and access to two registered nurses and a counsellor. Throughout the day, Te Piki Oranga’s stall was bustling with activity. In a community with a growing foundation of multiculturalism, our focus on ‘Hei oranga ki te whānau o Te Tau Ihu o Te Waka o Maui,’ along with the mahi we undertake, means that we are able to deliver community support and services that are meeting the needs of whānau. 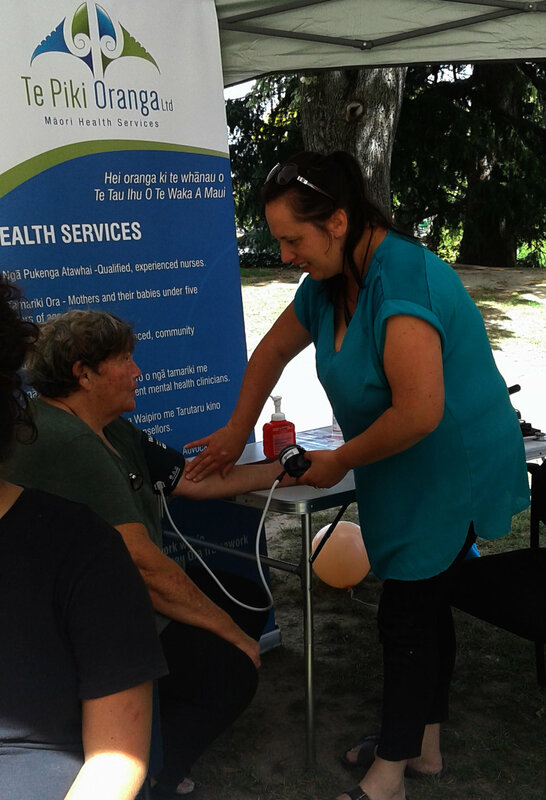 Tamariki Ora Nurses joined Public Health and held a successful event at Children’s Day in Blenheim in early March. Registered Nurses Sharon Osborne and Alison Hills were at Brayshaw Park to promote and encourage safe sleeping techniques for new parents and pēpi. The nurses spoke with dozens of whānau throughout the day and demonstrated safe sleeping techniques in wahakura and pēpi pods / pēpi bassinets. Around 20 whānau signed up to receive more information at this health promotion event. We’d love to be able to help more whānau so if you know of anyone who might be interested in learning about safe sleep please contact our Te Piki Oranga office on 03 5785750 to speak to Sharon Osborne. If you’re a healthcare professional with new parents who would benefit from talking with us, please visit our website www.tpo.org.nz and refer them to our service.